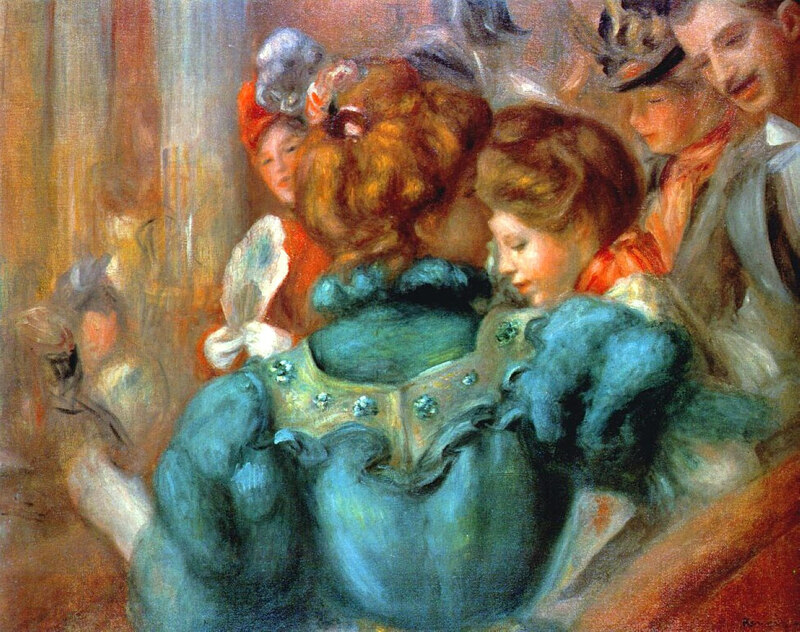 French artist Pierre-Auguste Renoir (1841 – 1919) completed this colorful oil on canvas painting in 1898. It is now held in a private collection. Posted in Artwork, Big Picture | tagged art, blue, fine art, finery, Impressionism, oil paintings, paintings, people, Pierre Auguste Renoir, Renoir, theaters. The permalink.